Yusuf Islam (born Steven Demetre Georgiou; 21 July 1948), commonly known by his stage name Cat Stevens, is a British singer-songwriter and multi-instrumentalist. His 1967 debut album reached the top 10 in the UK, and its title song "Matthew and Son" reached number 2 on the UK Singles Chart. Stevens' albums Tea for the Tillerman (1970) and Teaser and the Firecat (1971) were certified triple platinum in the US by the RIAA. His musical style consists of folk, pop, rock, and, in his later career, Islamic music. His 1972 album Catch Bull at Four spent three weeks at number one on the Billboard 200, and fifteen weeks at number one in the Australian ARIA Charts. He earned two ASCAP songwriting awards in 2005 and 2006 for "The First Cut Is the Deepest", and the song has been a hit for four artists. His other hit songs include "Father and Son", "Wild World", "Peace Train", "Moonshadow", and "Morning Has Broken". In 2007, he received the Ivor Novello Award for Outstanding Song Collection from the British Academy of Songwriters, Composers and Authors. In December 1977, Stevens converted to Islam and adopted the name Yusuf Islam the following year. In 1979, he auctioned all of his guitars for charity and left his musical career to devote himself to educational and philanthropic causes in the Muslim community. He was embroiled in a long-running controversy regarding comments he made in 1989 about the death fatwa on author Salman Rushdie. He has received two honorary doctorates and awards for promoting peace from two organisations founded by Mikhail Gorbachev. In 2006, he returned to pop music – releasing his first new studio album of new pop songs in 28 years, titled An Other Cup. With that release and subsequent ones, he dropped the surname "Islam" from the album cover art – using the stage name Yusuf as a mononym. In 2009, he released the album Roadsinger, and in 2014, he released the album Tell 'Em I'm Gone, and began his first US tour since 1978. He was inducted into the Rock and Roll Hall of Fame in 2014. His second North American tour since his resurgence, featuring 12 shows in intimate venues, ran from 12 September to 7 October 2016. In 2017, he released the album The Laughing Apple. 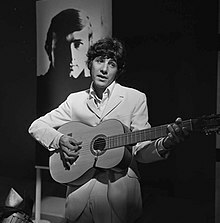 Steven Georgiou, born on 21 July 1948 in the Marylebone area of London, was the youngest child of a Greek Cypriot father, Stavros Georgiou (1900–1978), and a Swedish mother, Ingrid Wickman (1915–1989). He has an older sister, Anita (b. 1937), and a brother, David Gordon. The family lived above the Moulin Rouge, a restaurant his parents operated on the north end of Shaftesbury Avenue, a short walk from Piccadilly Circus in the Soho theatre district of London. All family members worked in the restaurant. His parents divorced when he was about eight years old, but continued to maintain the family restaurant and live above it. Although his father was Greek Orthodox and his mother was a Baptist, Georgiou was sent to St Joseph Roman Catholic Primary School, Macklin Street, which was closer to his father's business on Drury Lane. Georgiou developed an interest in piano at a young age, eventually using the family baby grand piano to work out the chords, since no one else there played well enough to teach him. At 15, inspired by the popularity of the Beatles, he became interested in the guitar. He persuaded his father to pay £8 (equivalent to £200 in 2018) for his first guitar, and began playing it and writing songs. He occasionally escaped his family responsibilities by going to the rooftop above their home and listening to the tunes of the musicals drifting from around the corner on Denmark Street, then the centre of the British music industry. Stevens said that West Side Story particularly affected him, and gave him a "different view of life". With interests in both art and music, he and his mother moved to Gävle, Sweden, where he attended primary school (Solängsskolan) and started developing his drawing skills after being influenced by his uncle Hugo Wickman, a painter. They subsequently returned to England. He attended other local West End schools, where he says he was constantly in trouble, and did poorly in everything but art. He was called "the artist boy", and said, "I was beat up, but I was noticed". He took a one-year course at Hammersmith School of Art, considering a career as a cartoonist. Though he enjoyed art (his later record albums featured his original artwork), he decided to pursue a music career. He began performing under the name "Steve Adams" in 1965 while at Hammersmith. At that point, his goal was to become a songwriter. As well as the Beatles, other musicians who influenced him were the Kinks, Bob Dylan, Nina Simone, blues artists Lead Belly and Muddy Waters, Biff Rose (particularly Rose's first album), Leo Kottke and Paul Simon. He also sought to emulate composers of musicals, like Ira Gershwin and Leonard Bernstein. In 1965 he signed a publishing deal with Ardmore & Beechwood and recorded several demos, including "The First Cut Is the Deepest". Georgiou began performing his songs in London coffee houses and pubs. At first he tried forming a band, but realised he preferred performing solo. Thinking his given name might not be memorable, he chose the stage name Cat Stevens, in part because a girlfriend said he had eyes like a cat, but mainly because "I couldn't imagine anyone going to the record store and asking for 'that Steven Demetre Georgiou album'. And in England, and I was sure in America, they loved animals." In 1966, at age 18, he was heard by manager/producer Mike Hurst, formerly of British vocal group the Springfields. Hurst arranged for him to record a demo and helped him get a record deal. Stevens's first singles were hits: "I Love My Dog" reached number 28 on the UK Singles Chart; and "Matthew and Son", the title song from his debut album, reached number 2 in the UK. "I'm Gonna Get Me a Gun" was his second UK top 10 single, reaching number 6, and the album Matthew and Son reached number 7 on the UK Albums Chart. The original version of the Tremeloes' hit "Here Comes My Baby" was written and recorded by Stevens. Over the next two years, Stevens recorded and toured with an eclectic group of artists ranging from Jimi Hendrix to Engelbert Humperdinck. He was considered a fresh-faced teen star, placing several single releases in the British pop music charts. Some of that success was attributed to the pirate radio station Wonderful Radio London, which gained him fans by playing his records. In August 1967, he went on the air with other recording artists who had benefited from the station to mourn its closure. His December 1967 album New Masters failed to chart in the United Kingdom. The album is now most notable for his song "The First Cut Is the Deepest", a song he sold for £30 (equivalent to £500 in 2018) to P. P. Arnold that was to become a massive hit for her, and an international hit for Keith Hampshire, Rod Stewart, James Morrison, and Sheryl Crow. Forty years after he recorded the first demo of the song, it earned him two back-to-back ASCAP "Songwriter of the Year" awards, in 2005 and 2006. He took up meditation, yoga, and metaphysics; read about other religions; and became a vegetarian. As a result of his serious illness and long convalescence, and as a part of his spiritual awakening and questioning, he wrote as many as 40 songs, many of which would appear on his albums in years to come. The lack of success of Stevens' second album mirrored a difference of personal tastes in musical direction, and a growing resentment of producer Mike Hurst's attempts to re-create another album like that of his debut, with heavy-handed orchestration, and over-production, rather than the folk rock sound Stevens was attempting to produce. He admits having purposefully sabotaged his own contract with Hurst, making outlandishly expensive orchestral demands and threatening legal action, which resulted in his goal: release from his contract with Deram Records, a sub-label of Decca Records. Upon regaining his health at home after his release from the hospital, Stevens recorded some of his newly written songs on his tape recorder, and played his changing sound for a few new record executives. After hiring agent Barry Krost, who had arranged for an audition with Chris Blackwell of Island Records, Blackwell offered him a "chance to record [his songs] whenever and with whomever he liked, and more importantly to Cat, however he liked". With Krost's recommendation, Stevens signed with Paul Samwell-Smith, previously the bassist of the Yardbirds, to be his new producer. Producer Paul Samwell-Smith paired Stevens with guitarist Alun Davies, who was at that time working as a session musician. Davies was the more experienced veteran of two albums which had already begun to explore the emerging genres of skiffle and folk rock music. Davies was also thought a perfect fit with Stevens in particular for his "fingerwork" on the guitar, harmonising and his backing vocals. They originally met just to record Mona Bone Jakon, but soon developed a friendship. Davies, like Stevens, was a perfectionist, appearing at all sound checks to be sure that all the equipment and sound were prepared for each concert. He collaborated with Stevens on all but two of the succeeding albums Stevens released, and performed and recorded with him until Stevens' retirement. Their friendship continued, however, and when Stevens re-emerged as Yusuf Islam after 27 years, Davies appeared again performing at his side, and has remained there. The first single released from Mona Bone Jakon was "Lady D'Arbanville", which Stevens wrote about his young American girlfriend Patti D'Arbanville. The record, with a madrigal sound unlike most music played on pop radio, with sounds of djembes and bass in addition to Stevens' and Davies' guitars, reached number 8 in the UK. It was the first of his hits to get real airplay in the US. It sold over 1 million copies, and was awarded a gold record in 1971. Other songs written for D'Arbanville included "Maybe You're Right", and "Just Another Night". In addition, the song "Pop Star", about his experience as a teen star, and "Katmandu", featuring Genesis frontman Peter Gabriel playing flute, were featured. Mona Bone Jakon was an early example of the solo singer-songwriter album format that was becoming popular for other artists as well. Rolling Stone magazine compared its popularity with that of Elton John's Tumbleweed Connection, saying it was played "across the board, across radio formats". Stevens performing in Waikiki Shell, Oahu, Hawaii, 1974. The stage decor reflects his song, "Boy with a Moon & Star on His Head" from Catch Bull at Four. In July 1970, Stevens recorded one of his songs, "But I Might Die Tonight", for the Jerzy Skolimowski film, Deep End. In 1971, Stevens provided nine songs to the soundtrack of the black comedy Harold and Maude which became a popular cult film celebrating the free spirit, and brought Stevens' music to a wider audience, continuing to do so long after he stopped recording in the late 1970s. Among the songs were "Where Do the Children Play? ", "Trouble", and "I Think I See the Light". Two of the songs, "Don't Be Shy" and "If You Want to Sing Out, Sing Out", were not released on any album until their inclusion in 1984 on a second "greatest hits" collection, Footsteps in the Dark: Greatest Hits, Vol. 2. After his religious conversion in the late 1970s, Stevens stopped granting permission for his songs to be used in films. However, almost 20 years later, in 1997, the movie Rushmore received his permission to use his songs "Here Comes My Baby" and "The Wind", showing a new willingness on his part to release his music from his Western "pop star" days. This was followed in 2000 by the inclusion of "Peace Train" in the movie Remember the Titans, in 2000 by the use in Almost Famous of the song "The Wind", and in 2006 the inclusion of "Peace Train" on the soundtrack to We Are Marshall. Since then, permission has been given for Cat Stevens songs to be used in the soundtracks for several movies and TV shows, including the song "Tea for The Tillerman" used as the theme tune for the Ricky Gervais BBC-HBO sitcom Extras. A Christmas-season television commercial for gift-giving by the diamond industry aired in 2006 with Cat Power's cover of "How Can I Tell You". In 2011, "Don't Be Shy" was used in the pilot episode of the ABC television series Once Upon A Time. In 2014, "Cat and the Dog Trap" (from the Tell 'Em I'm Gone album released as Yusuf) was used on an episode of the CBS television series Elementary. In 2016, the single "If You Want to Sing Out, Sing Out" appeared in a television commercial for the 2017 Jeep Grand Cherokee. The following year, "Father and Son" was used in the closing scene of the film Guardians of the Galaxy Vol. 2. His version for "Don't Let Me Be Misunderstood" was used on the trailer of the fourth season of the TV series Skam. Subsequent releases in the 1970s also did well on the charts and in ongoing sales, although they did not touch the success he had from 1970 to 1973. In 1973, Stevens moved to Rio de Janeiro, Brazil, as a tax exile from the United Kingdom, however, he later donated the money to UNESCO. During that time he created the album Foreigner, which was a departure from the music that had brought him to the height of his fame. It differed in several respects: entirely written by Stevens, he dropped his band and produced the record without the assistance of Samwell-Smith, who had played a large role in catapulting him to fame. With the exception of some guitar on the title track and "100 I Dream", he played keyboard instruments throughout the album. It was intended to show a funk/soul element rising in popularity that Stevens had come to appreciate. One side of Foreigner was continuous, much different from the radio-friendly pop tunes fans had come to expect. In November 1973 he performed side two of the album at the Aquarius Theater in Hollywood, with a pre-arranged uninterrupted quadraphonic simulcast on the ABC network. 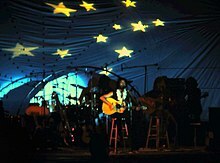 The show was titled the "Moon and Star" concert. This performance did include his band, but they were all but overshadowed by an orchestra. The album produced a couple of singles including "The Hurt", but did not reach the heights he had once enjoyed. The follow-up to Foreigner was Buddha and the Chocolate Box, largely a return to the instrumentation and styles employed in Teaser and the Firecat and Tea for the Tillerman. Featuring the return of Alun Davies and best known for "Oh Very Young", Buddha and the Chocolate Box reached platinum status in 2001. Stevens' next album was the concept album Numbers, a less successful departure for him. His final original album under the name Cat Stevens was Back to Earth, released in late 1978, which was also the first album produced by Samwell-Smith since his peak in single album sales in the early 1970s. Several compilation albums were released before and after he stopped recording. After Stevens left Decca Records they bundled his first two albums together as a set, hoping to ride the commercial tide of his early success; later his newer labels did the same, and he himself released compilations. The most successful of the compilation albums was the 1975 Greatest Hits which has sold over 4 million copies in the United States. In May 2003 he received his first Platinum Europe Award from the IFPI for Remember Cat Stevens, The Ultimate Collection, indicating over one million European sales. In 1976 Stevens nearly drowned off the coast of Malibu, California, United States, and said he shouted: "Oh, God! If you save me I will work for you." He related that right afterward a wave appeared and carried him back to shore. This brush with death intensified his long-held quest for spiritual truth. He had looked into "Buddhism, Zen, I Ching, numerology, tarot cards, and astrology". Stevens' brother David Gordon, a convert to Judaism, brought him a copy of the Qur'an as a birthday gift from a trip to Jerusalem. Stevens was quickly taken with its content, and he began his transition to Islam. During the time he was studying the Qur'an, Stevens began to identify more and more with the story of Joseph, a man bought and sold in the market place, which is how he said he had increasingly felt within the music business. Regarding his conversion, in his 2006 interview with Alan Yentob, he stated, "To some people, it may have seemed like an enormous jump, but for me, it was a gradual move to this." And, in a Rolling Stone magazine interview, he reaffirmed this, saying, "I had found the spiritual home I'd been seeking for most of my life. And if you listen to my music and lyrics, like "Peace Train" and "On The Road To Find Out", it clearly shows my yearning for direction and the spiritual path I was travelling." 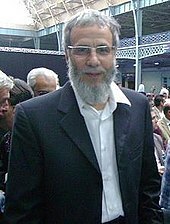 Stevens formally converted to the Muslim faith on 23 December 1977, taking the name Yusuf Islam in 1978. Yusuf is the Arabic rendition of the name Joseph; he stated that he "always loved the name Joseph" and was particularly drawn to the story of Joseph in the Qur'an. Although he discontinued his pop career, he was persuaded to perform one last time before what would become his twenty-five-year musical hiatus. Appearing with his hair freshly shorn and an untrimmed beard, he headlined a charity concert on 22 November 1979 in Wembley Stadium to benefit UNICEF's International Year of the Child. The concert closed with his performance along with David Essex, Alun Davies, and Islam's brother, David Gordon, who wrote the finale song "Child for a Day". After a brief engagement to Louise Wightman, Islam married Fauzia Mubarak Ali on 7 September 1979, at Regent's Park Mosque in London. They have one son and four daughters and nine grandchildren; a second son died in infancy. They currently live in London, spending part of each year in Dubai. Following his conversion, Islam abandoned his musical career for nearly three decades. In 2007, he said that when he became a Muslim in 1977, the Imam at his mosque told him that it was fine to continue as a musician, as long as the songs were morally acceptable, but others were saying that "it was all prohibited", and he decided to avoid the question by ceasing to perform. He has said that there was "a combination of reasons, really", and that the continuing demands of the music business had been "becoming a chore, and not an inspiration anymore". In a 2004 interview on Larry King Live, he said "A lot of people would have loved me to keep singing. You come to a point where you have sung, more or less ... your whole repertoire and you want to get down to the job of living. You know, up until that point, I hadn't had a life. I'd been searching, been on the road." Estimating in January 2007 that he was continuing to earn approximately US$1.5 million a year from his Cat Stevens music, he said he would use his accumulated wealth and ongoing earnings from his music career on philanthropic and educational causes in the Muslim community of London and elsewhere. In 1983, he founded the Islamia Primary School in Brondesbury Park, later moved to Salusbury Road, in the north London area of Queen's Park and, soon after, founded several Muslim secondary schools; in 1992, he set up The Association of Muslim Schools (AMS-UK), a charity that brought together all the Muslim schools in the UK. He is also the founder and chairman of the Small Kindness charity, which initially assisted famine victims in Africa and now supports thousands of orphans and families in the Balkans, Indonesia, and Iraq. He served as chairman of the charity Muslim Aid from 1985 to 1993. In 1989 following an address by Islam to students at London's Kingston University, where he was asked about the fatwa calling for the killing of Salman Rushdie, author of the novel The Satanic Verses, Islam made a series of comments that appeared to show his support for the fatwa. He released a statement the following day denying that he supported vigilantism, and claiming that he had merely recounted the legal Islamic punishment for blasphemy. In a 2006 BBC interview, he displayed a newspaper clipping from that period, with quotes from his statement. Subsequent comments made by him in 1989 on an Australian television programme were also seen as being in support of the fatwa. In a statement in the FAQ section of one of his websites, Islam asserted that while he regretted the comments, he was joking and that the show was improperly edited. In the years since these comments, he has repeatedly denied ever calling for the death of Rushdie or supporting the fatwa. He appeared on videotape on a VH1 pre-show for the October 2001 Concert for New York City, condemning the attacks and singing his song "Peace Train" for the first time in public in more than 20 years, as an a cappella version. He also donated a portion of his box-set royalties to the fund for victims' families, and the rest to orphans in underdeveloped countries. During the same year, he dedicated time and effort in joining the Forum Against Islamophobia and Racism, an organisation that worked towards battling misconceptions and acts against others because of their religious beliefs or their racial identity (or both), after many Muslims reported a backlash against them due in part to the grief caused by the events in the United States on 11 September. On 21 September 2004, Islam was on a United Airlines flight from London to Washington, travelling to a meeting with US entertainer Dolly Parton, who had recorded "Peace Train" several years earlier and was planning to include another Cat Stevens song on an upcoming album. While the plane was in flight, his name was flagged as being on the No Fly List. Customs and Border Protection (CBP) officers alerted the United States Transportation Security Administration, which then diverted his flight to Bangor, Maine, where he was detained by officers from the Department of Homeland Security. The following day, he was denied entry and flown back to the United Kingdom. A spokesman for Homeland Security claimed there were "concerns of ties he may have to potential terrorist-related activities". The Israeli government had deported Islam in 2000 over allegations that he provided funding to the Palestinian organisation Hamas, but he denied doing so knowingly. Islam, who has repeatedly condemned terrorism and Islamic extremism, stated "I have never knowingly supported or given money to Hamas". "At the time I was reported to have done it, I didn't know such a group existed. Some people give a political interpretation to charity. We were horrified at how people were suffering in the Holy Land." However, the United States Department of Homeland Security (DHS) added him to a "watch list" which provoked an international controversy and led the British Foreign Secretary Jack Straw to complain personally to the United States Secretary of State Colin Powell at the United Nations. Powell responded by stating that the watchlist was under review, adding, "I think we have that obligation to review these matters to see if we are right". Islam believed his inclusion on a "watch list" may have simply been an error: a mistaken identification of him for a man with the same name, but different spelling. On 1 October 2004 he requested the removal of his name, "I remain bewildered by the decision of the US authorities to refuse me entry to the United States". According to his statement, the man on the list was named "Youssef Islam", indicating that Islam was not the suspected terrorism supporter. Romanisation of Arabic names can easily result in different spellings: the transliteration of the Islamic name for Joseph lists a dozen spellings. Two years later, in December 2006, Islam was admitted without incident into the United States for several radio concert performances and interviews to promote his new record. He said of the incident at the time, "No reason was ever given, but being asked to repeat the spelling of my name again and again, made me think it was a fairly simple mistake of identity. Rumours which circulated after made me imagine otherwise." Islam wrote a song about his 2004 exclusion from the US, titled "Boots and Sand", recorded in 2008 and featuring Paul McCartney, Dolly Parton, and Terry Sylvester. In October 2004 the News UK newspapers The Sun and The Sunday Times voiced their support for Islam's exclusion from the United States and claimed that he had supported terrorism. He sued for libel and received an out-of-court financial settlement from the newspapers, which both published apology statements saying that he had never supported terrorism and mentioning that he had recently been given a Man of Peace award from the World Summit of Nobel Peace Laureates. However The Sunday Times managing editor Richard Caseby said that while there was an "agreed settlement", they "always denied liability" and "disagreed with Cat Stevens' lawyers interpretation", but took a "pragmatic view" of the lawsuit. Islam responded that he was "delighted by the settlement [which] helps vindicate my character and good name. ... It seems to be the easiest thing in the world these days to make scurrilous accusations against Muslims, and in my case it directly impacts on my relief work and damages my reputation as an artist. The harm done is often difficult to repair", and added that he intended to donate the financial award given to him by the court to help orphans of the 2004 Indian Ocean earthquake and tsunami. He wrote about the experience in a newspaper article titled "A Cat in a Wild World". On 18 July 2008, Islam received substantial undisclosed damages from the World Entertainment News Network following their publication of a story which claimed that the singer refused to speak to unveiled women. The allegations first surfaced in the German newspaper BZ after Islam's trip to Berlin in March 2007 to collect the Echo music award for "life achievements as musician and ambassador between cultures". Once again he was awarded damages after the World Entertainment News Network allowed an article to be published on Contactmusic.com alleging that he would not speak to unveiled women with the exception of his wife. His solicitor said "he was made out to be 'so sexist and bigoted that he refused at an awards ceremony to speak to or even acknowledge any women who were not wearing a veil'". The news agency apologised and issued a statement saying that Islam has never had any problem in working with women and that he has never required a third party to function as an intermediary at work. The money from this lawsuit went to his Small Kindness Charity. The accusation that I do not speak or interact with ladies who are not veiled is an absurdity.... It's true that I have asked my manager to respectfully request that lady presenters refrain from embracing me when giving awards or during public appearances, but that has nothing to do with my feelings or respect for them. Islam simply requires me to honour the dignity of ladies or young girls who are not closely related to me, and avoid physical intimacy, however innocent it may be. ... My four daughters all follow the basic wearing of clothes which modestly cover their God-given beauty. They're extremely well educated; they do not cover their faces and interact perfectly well with friends and society. Islam gradually resumed his musical career in the 1990s. His initial recordings had not included any musical instruments other than percussion, and featured lyrics about Islamic themes, some in spoken word or hamd form. He invested in building his own recording studio which he named Mountain of Light Studios in the late 1990s, and he was featured as a guest singer on "God Is the Light", a song on an album of nasheeds by the group Raihan. In addition, he invited and collaborated with other Muslim singers, including Canadian artist Dawud Wharnsby. After Islam's friend, Irfan Ljubijankić, the Foreign Minister of Bosnia and Herzegovina, was killed by a Serbian rocket attack, Islam appeared at a 1997 benefit concert in Sarajevo and recorded a benefit album named after a song written by Ljubijankić, I Have No Cannons That Roar. Realising there were few educational resources designed to teach children about the Islamic religion, Islam wrote and produced a children's album, A Is for Allah, in 2000 with the assistance of South African singer-songwriter Zain Bhikha. The title song was one Islam had written years before to introduce his first child to both the religion and the Arabic alphabet. He also established his own record label, "Jamal Records", and Mountain of Light Productions, and he donates a percentage of his projects' proceeds to his Small Kindness charity, whose name is taken from the Qur'an. On the occasion of the 2000 re-release of his Cat Stevens albums, Islam explained that he had stopped performing in English due to his misunderstanding of the Islamic faith. "This issue of music in Islam is not as cut-and-dried as I was led to believe ... I relied on heresy [sic], that was perhaps my mistake." Islam has reflected that his decision to leave the Western pop music business was perhaps too quick with too little communication for his fans. For most, it was a surprise, and even his long-time guitarist, Alun Davies, said in later interviews that he hadn't believed that his friend would actually go through with it, after his many forays into other religions throughout their relationship. Islam himself has said the "cut" between his former life and his life as a Muslim might have been too quick, too severe, and that more people might have been better informed about Islam, and given an opportunity to better understand it, and himself, if he had simply removed those items that were considered harām, in his performances, allowing him to express himself musically and educate listeners through his music without violating any religious constraints. In 2003, after repeated encouragement from within the Muslim world, Islam once again recorded "Peace Train" for a compilation CD, which also included performances by David Bowie and Paul McCartney. He performed "Wild World" in Nelson Mandela's 46664 concert with his former session player Peter Gabriel, the first time he had publicly performed in English in 25 years. In December 2004, he and Ronan Keating released a new version of "Father and Son": the song entered the charts at number two, behind Band Aid 20's "Do They Know It's Christmas?" They also produced a video of the pair walking between photographs of fathers and sons, while singing the song. The proceeds of "Father and Son" were donated to the Band Aid charity. Keating's former group, Boyzone, had a hit with the song a decade earlier. As he had been persuaded before, Islam contributed to the song, because the proceeds were marked for charity. Islam observed that there are no real guidelines about instruments and no references about the business of music in the Qur'an, and that Muslim travellers first brought the guitar to Moorish Spain. He noted that Muhammad was fond of celebrations, as in the case of the birth of a child, or a traveller arriving after a long journey. Thus, Islam concluded that healthy entertainment was acceptable within limitations, and that he now felt that it was no sin to perform with the guitar. Music, he now felt, is uplifting to the soul; something sorely needed in troubled times. At that point, he was joined by several young male singers who sang backing vocals and played a drum, with Islam as lead singer and guitarist. They performed two songs, both half in Arabic, and half in English; "Tala'a Al-Badru Alayna", an old song in Arabic which Islam recorded with a folk sound to it, and another song, "The Wind East and West", which was newly written by Islam and featured a distinct R&B sound. 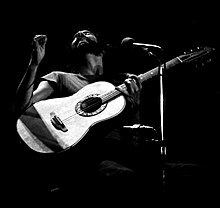 With this performance, Islam began slowly to integrate instruments into both older material from his Cat Stevens era (some with slight lyrical changes) and new songs, both those known to the Muslim communities around the world and some that have the same Western flair from before with a focus on new topics and another generation of listeners. In early 2005, Islam released a new song, titled "Indian Ocean", about the 2004 Indian Ocean earthquake and tsunami disaster. The song featured Indian composer/producer A. R. Rahman, a-ha keyboard player Magne Furuholmen and Travis drummer Neil Primrose. Proceeds of the single went to help orphans in Banda Aceh, one of the areas worst affected by the tsunami, through Islam's Small Kindness charity. At first, the single was released only through several online music stores but later featured on the compilation album Cat Stevens: Gold. "I had to learn my faith and look after my family, and I had to make priorities. But now I've done it all and there's a little space for me to fill in the universe of music again." On 28 May 2005, Islam delivered a keynote speech and performed at the Adopt-A-Minefield Gala in Düsseldorf. The Adopt-A-Minefield charity, under the patronage of Paul McCartney, works internationally to raise awareness and funds to clear landmines and rehabilitate landmine survivors. Islam attended as part of an honorary committee which also included George Martin, Richard Branson, Boutros Boutros-Ghali, Klaus Voormann, Christopher Lee and others. Islam has credited his then 21-year-old son Muhammad Islam, also a musician and artist, for his return to secular music, when the son brought a guitar back into the house, which Islam began playing. Muhammad's professional name is Yoriyos and his debut album was released in February 2007. Yoriyos created the art on Islam's album An Other Cup, something that Cat Stevens did for his own albums in the 1970s. In May 2006, in anticipation of his forthcoming new pop album, the BBC1 programme Imagine aired a 49-minute documentary with Alan Yentob called Yusuf: The Artist formerly Known as Cat Stevens. 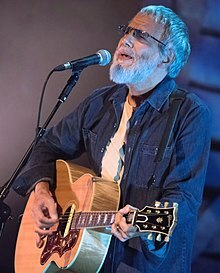 This documentary film features rare audio and video clips from the late 1960s and 1970s, as well as an extensive interview with Islam, his brother David Gordon, several record executives, Bob Geldof, Dolly Parton, and others outlining his career as Cat Stevens, his conversion and emergence as Yusuf Islam, and his return to music in 2006. There are clips of him singing in the studio when he was recording An Other Cup as well as a few 2006 excerpts of him on guitar singing a few verses of Cat Stevens songs including "The Wind" and "On the Road to Find Out". In December 2006, Islam was one of the artists who performed at the Nobel Peace Prize Concert in Oslo, Norway, in honour of the prize winners, Muhammad Yunus and Grameen Bank. He performed the songs "Midday (Avoid City After Dark)", "Peace Train", and "Heaven/Where True Love Goes". He also gave a concert in New York City that month as a Jazz at Lincoln Center event, recorded and broadcast by KCRW-FM radio, along with an interview by Nic Harcourt. Accompanying him, as in the Cat Stevens days, was Alun Davies, on guitar and vocals. In March 2006, Islam finished recording his first all-new pop album since 1978. The album, An Other Cup, was released internationally in November 2006 on his own label, Ya Records (distributed by Polydor Records in the UK, and internationally by Atlantic Records)—the 40th anniversary of his first album, Matthew and Son. An accompanying single, called "Heaven/Where True Love Goes", was also released. The album was produced with Rick Nowels, who has worked with Dido and Rod Stewart. The performer is noted as "Yusuf", with a cover label identifying him as "the artist formerly known as Cat Stevens". The art on the album is credited to Yoriyos. Islam wrote all of the songs except "Don't Let Me Be Misunderstood", and recorded it in the United States and the United Kingdom. Islam actively promoted this album, appearing on radio, television and in print interviews. In November 2006, he told the BBC, "It's me, so it's going to sound like that of course ... This is the real thing ... When my son brought the guitar back into the house, you know, that was the turning point. It opened a flood of, of new ideas and music which I think a lot of people would connect with." Originally, he began to return only to his acoustic guitar as he had in the past, but his son encouraged him to "experiment", which resulted in the purchase of a Stevie Ray Vaughan Fender Stratocaster in 2007. Islam was asked by the Swiss periodical Das Magazin why the title of the album was An Other Cup, rather than "Another Cup". The answer was that his breakthrough album, Tea for the Tillerman in 1970, was decorated with Islam's painting of a peasant sitting down to a cup of steaming drink on the land. He commented that the two worlds "then, and now, are very different". His new album shows a steaming cup alone on this cover. His answer was that this was actually an other cup; something different; a bridge between the East and West, which he explained was his own perceived role. He added that, through him, "Westerners might get a glimpse of the East, and Easterners, some understanding of the West. The cup, too, is important; it's a meeting place, a thing meant to be shared." In April 2007, BBC1 broadcast a concert given at the Porchester Hall by Islam as part of BBC Sessions, his first live performance in London in 28 years (the previous one being the UNICEF "Year of the Child" concert in 1979). He played several new songs along with some old ones like "Father and Son", "The Wind", "Where Do the Children Play? ", "Don't Be Shy", "Wild World", and "Peace Train". In July 2007, he performed at a concert in Bochum, Germany, in benefit of Archbishop Desmond Tutu's Peace Centre in South Africa and the Milagro Foundation of Deborah and Carlos Santana. The audience included Nobel Laureates Mikhail Gorbachev, Desmond Tutu and other prominent global figures. He later appeared as the final act in the German leg of Live Earth in Hamburg performing some classic Cat Stevens songs and more recent compositions reflecting his concern for peace and child welfare. His set included Stevie Wonder's "Saturn", "Peace Train", "Where Do the Children Play? ", "Ruins", and "Wild World". He performed at the Peace One Day concert at the Royal Albert Hall on 21 September 2007. In 2008 Islam contributed the song "Edge of Existence" to the charity album Songs for Survival, in support of the indigenous rights organisation Survival International. In January 2009, Islam released a single in aid of children in Gaza, a rendition of the George Harrison song, "The Day the World Gets Round", along with the German bassist Klaus Voorman, who had formerly collaborated with The Beatles. To promote the new single, Voormann redesigned his famous Beatles Revolver album cover, drawing a picture of a young Cat Stevens along with himself and Harrison. Proceeds from the single were donated to charities and organisations including UNESCO, UNRWA, and the nonprofit group Save the Children, with the funds earmarked for Gaza children. Israeli Consul David Saranga criticised Islam for not dedicating the song to all of the children who are victims of the conflict, including Israeli children. On 5 May 2009, Islam released Roadsinger, a new pop album recorded in 2008. The lead track, "Thinking 'Bout You", received its debut radio play on a BBC programme on 23 March 2009. Unlike An Other Cup, he promoted the new album with appearances on American television as well as in the UK. He appeared on The Chris Isaak Hour on the A&E network in April 2009, performing live versions of his new songs, "World O'Darkness", "Boots and Sand", and "Roadsinger". On 13 May he appeared on The Tonight Show with Jay Leno in Los Angeles, and on 14 May, on The Colbert Report in New York City, performing the title song from the Roadsinger album. On 15 May, he appeared on Late Night with Jimmy Fallon, performing "Boots and Sand" and "Father and Son". On 24 May he appeared on the BBC's The Andrew Marr Show, where he was interviewed and performed the title track of Roadsinger. On 15 August, he was one of many guests at Fairport Convention's annual Fairport's Cropredy Convention where he performed five songs accompanied by Alun Davies, with Fairport Convention as his backing band. A world tour was announced on his web site to promote the new album. He was scheduled to perform at an invitation-only concert at New York City's Highline Ballroom on 3 May 2009 and to go on to Los Angeles, Chicago and Toronto, as well as some to-be-announced European venues. However, the New York appearance was postponed due to issues regarding his work visa. He appeared in May 2009 at Island Records' 50th Anniversary concert in London. In November and December 2009, Islam undertook his "Guess I'll Take My Time Tour" which also showcased his musical play Moonshadow. The tour took him to Dublin, where he had a mixed reception; subsequently he was well received in Birmingham and Liverpool, culminating in an emotional performance at the Royal Albert Hall in London. In June 2010 he toured Australia for the first time in 36 years, and New Zealand for the first time ever. On 30 October 2010 Islam appeared at Jon Stewart and Stephen Colbert's spoof Rally to Restore Sanity and/or Fear in Washington, DC, singing alongside Ozzy Osbourne. Islam performed "Peace Train" and Ozzy performed "Crazy Train" at the same time, followed by The O'Jays performance of "Love Train". On 2 March 2011, Islam released his latest song, "My People", as a free download available through his official website, as well as numerous other online outlets. Said to have been recorded at a studio located within a hundred yards of the site of the Berlin Wall, the song is inspired by a series of popular uprisings in the Arab world, known as the Arab Spring. On 1 April 2011, he launched a new tour website (yusufinconcert.com) to commemorate his first European tour in over 36 years scheduled from 7 May to 2 June 2011. The ten-date tour visited Germany, France, the Netherlands, Austria, Belgium and cities such as Stockholm, Hamburg, Oberhausen, Berlin, Munich, Rotterdam, Paris, Mannheim, Vienna and Brussels. In May 2012, Moonshadow, a new musical featuring music from throughout his career opened at the Princess Theatre in Melbourne, Australia. The show received mixed reviews and closed four weeks early. In October 2013, Islam was nominated for induction into the Rock and Roll Hall of Fame for his work under the Cat Stevens name (this was his second nomination – the first being an unsuccessful nomination in 2005). He was selected and was inducted by Art Garfunkel in April 2014 at the Barclays Center in Brooklyn, New York, where he performed "Father and Son", "Wild World", and "Peace Train". A record of his travel from Dubai to New York is captured in an episode of the National Geographic Channel television show Ultimate Airport Dubai (season 2, episode 6), first aired in China on 17 January 2015. In this episode he talks about his difficulty in entering the US. On 15 September 2014, Islam announced the forthcoming release on 27 October 2014 of his new studio album, Tell 'Em I'm Gone, and two short tours: a November 2014 (9-date) Europe tour and a December 2014 (6-date) North America tour, the latter being his first one since 1976. On 4 December 2014, he played to his first public US audience since the 1970s at the Tower Theater in Philadelphia. Islam performed two shows in early 2015: on 27 February at the Viña del Mar Festival, Quinta Vergara, Viña del Mar, Chile and on 22 April at the Wales Millennium Centre in Cardiff Bay, area of Cardiff, Wales, UK. On 1 June 2016, Islam shared a new song called "He Was Alone" and its corresponding video. Part of his newly launched fundraising campaign for child refugees, #YouAreNotAlone, the song was inspired by a trip to southern Turkey's camps for Syrian refugees. He performed the song live for the first time in a special charity concert, his first show in more than a year, on 14 June 2016 at the Westminster Central Hall in London. On 26 July 2016, Islam announced he would be part of the Global Citizen Festival held on 24 September 2016 in Central Park, New York, New York. On 9 August 2016, Islam announced "A Cat's Attic Tour", his second North American tour since 1978, beginning on 12 September 2016 at the Sony Centre for the Performing Arts in Toronto and ending on 7 October 2016 at the Pantages Theatre in Los Angeles. The string of 12 dates roughly coincides with the 50th anniversary of his first single, I Love My Dog, and would "feature a limited run of stripped down, introspective performances." The tour included three shows in New York City (two shows at the Beacon Theatre and one show in Central Park at the Global Citizen Festival), his first shows in New York City since 1976. In keeping with his spirit of humanitarianism, he would be donating a portion of the revenue from each ticket sale towards his charity Small Kindness, as well as UNICEF and the International Rescue Committee in an effort to assist children affected by the current Syrian refugee crisis. The tour continued in the UK with shows in Manchester, Glasgow, Newcastle and London. The London show took place at the Shaftesbury Theatre, only a block away from where Yusuf grew up. On 15 September 2017, he released his fifteenth studio album, The Laughing Apple. The album is credited to "Cat Stevens / Yusuf" and is his first record under the Cat Stevens name since Back to Earth in 1978. The album earned him his first nomination for a Grammy Award for Best Folk Album. In July 2018, Yusuf signed with BMG Rights Management, which will publish his songwriting credits worldwide and distribute nine of his studio albums. On 29 March 2019, Yusuf performed in Christchurch, New Zealand, at the National Remembrance Service for victims of the Christchurch mosque shootings. 2003: World Award (also known as the "World Social Award"), an award organised by Mikhail Gorbachev, for "humanitarian relief work helping children and victims of war". 2004: Man of Peace Award of the World Summit of Nobel Peace Laureates (an award organisation founded by Mikhail Gorbachev) for his "dedication to promote peace, the reconciliation of people and to condemn terrorism", the ceremony was held in Rome, Italy and attended by five Nobel Peace Prize laureates. 2007: The Mediterranean Art and Creativity Award by the Fondazione Mediterraneo. 2007: Ivor Novello Award for Outstanding Song Collection from the British Academy of Songwriters, Composers and Authors (BASCA). ^ a b "Prince goes pop to praise school". BBC News. 10 May 2000. Retrieved 11 December 2012. ^ Kelly Boyer Sagert (1 January 2007). The 1970s. Greenwood Publishing Group. pp. 166–. ISBN 978-0-313-33919-6. ^ Alfred William Cramer (2009). Musicians & Composers of the 20th Century: Gram Parsons-Igor Stravinsky. Salem Press. pp. 1405–1406. ISBN 978-1-58765-516-6. ^ Samir Amghar; Amel Boubekeur; Michael Emerson (2007). European Islam: Challenges for Public Policy and Society. CEPS. pp. 71–. ISBN 978-92-9079-710-4. ^ a b "2005 ASCAP Press release". Ascap.com. Archived from the original on 22 July 2009. Retrieved 27 July 2009. ^ a b "Why Has Yusuf Dropped Islam From His Stage Name?". Chinese Whiskers-FAQs. YusufIslam.com. Archived from the original on 8 July 2009. Retrieved 8 November 2010. ^ Simon, Scott; NPR Staff (1 November 2014). "'It's A Bit of a Gift': Yusuf Islam on His Break And Return To Music". National Public Radio. Retrieved 1 November 2014. ^ a b "Yusuf Islam Plots Intimate North American Tour". ^ a b c d "Yusuf Islam Lifeline:1948". Yusuf Islam official website. Archived from the original on 11 February 2009. Retrieved 28 April 2009. ^ "Yusuf Islam Lifeline:1900". Yusuf Islam official Web site. Archived from the original on 7 July 2009. Retrieved 26 September 2008. ^ "Yusuf Islam Lifeline:1915". Yusuf Islam official website. Archived from the original on 7 July 2009. Retrieved 26 September 2008. ^ a b c "Yusuf Islam Lifeline:1963". Yusuf Islam official website. Archived from the original on 7 July 2009. Retrieved 23 September 2008. ^ a b c Durrani, Anayat (October 2000). "VH1 Profiles Cat Stevens in "Behind the Music"". Islamfortoday.com. Archived from the original on 29 September 2008. Retrieved 19 January 2009. ^ a b c d Windeler, Robert (October 1972). "Cat Stevens". Volume 29, No. 4. Stereo Review. p. 76. Retrieved 17 October 2008. ^ "Artist Influences for Cat Stevens". MTV; retrieved 3 February 2014. ^ Islam, Yusuf (2008). "Yusuf Islam Lifeline 1964". Official Website. p. 1964. Archived from the original on 7 July 2009. Retrieved 8 November 2008. ^ "Yusuf Islam Lifeline:1965". Yusuf Islam official website. Archived from the original on 7 July 2009. Retrieved 26 September 2008. ^ a b c Reiter, Amy (14 August 1999). "Salon People: Cat Stevens". Salon. Retrieved 17 October 2015. ^ "Yusuf Islam Lifeline:1967". Yusuf Islam official website. Archived from the original on 4 October 2011. Retrieved 15 October 2011. ^ "The Radio London story – part six: Peel, Pepper and the final hour". Pirate Radio Hall of Fame. Retrieved 4 July 2016. ^ "Cat Stevens". Basic Music. Archived from the original on 29 March 2012. Retrieved 15 October 2011. ^ Marrin, Minette (26 September 2004). 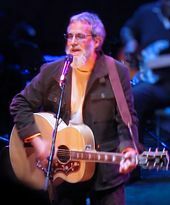 "Profile: Yusuf Islam aka Cat Stevens: Not so much a zealot more a lost musician". The Sunday Times. London. Retrieved 22 July 2008. ^ "Songwriter of the Year, Yusuf Islam (formerly Cat Stevens), First Cut Is The Deepest". ASCAP. Archived from the original on 22 July 2009. Retrieved 24 October 2008. ^ "Songwriter of the Year". The American Society of Composers Authors and Publishers. 2006. Archived from the original on 22 October 2006. Retrieved 20 December 2008. ^ a b c d Forbes, Jim (host) (2000). Cat Stevens: Behind the Music (TV series). United States: VH1. ^ Murrells, Joseph (1978). The Book of Golden Discs (2nd ed.). London: Barrie and Jenkins Ltd. p. 286. ISBN 0-214-20512-6. ^ DesBarres, Pamela; D'Arbanville, Patti (1 September 2008). Helter Skelter Publishing (ed.). Let's Spend the Night Together. Chicago Review Press. p. 54. ISBN 1-55652-789-6. Retrieved 13 March 2009. ^ Crouse, Timothy (9 December 1971). "Cat Stevens on Teaser and the Firecat". Rolling Stone. Retrieved 24 October 2008. ^ Stamberg, Susan (28 July 2005). "Carly Simon Sings American Classics, Again". Morning Edition. NPR. Retrieved 11 February 2009. ^ "Yusuf Islam Lifeline:1970". Yusuf Islam official website. Archived from the original on 7 July 2009. Retrieved 26 September 2008. ^ "Soundtrack for "Remember the Titans"". imdb.com. 2000. Retrieved 30 January 2009. ^ "Soundtrack for Almost Famous". imdb.com. 2002. Retrieved 30 January 2009. ^ a b Williamson, Nigel (29 March 2005). "Music is Part of God's Universe". The Guardian. Interview with Yusuf Islam. UK. Retrieved 1 February 2010. ^ "Cat Stevens - Foreigner". Discogs.com. Retrieved 28 October 2017. ^ a b "Cat Stevens – Izitso". Island Records. Discogs. Retrieved 20 May 2012. ^ a b "Cat Stevens – Izitso". A&M Records. Discogs. Retrieved 20 May 2012. ^ Cohen, Moshe (10 April 2014). "Report: Muslim Convert Cat Stevens Has a Jewish Brother". Arutz Sheva. Retrieved 23 November 2016. Gordon is the co-founder with Yael Drouyannoff of Peace Child Israel, which teaches coexistence using theater and the arts. ^ McMillan, Nancy. "Lucy Was Cat's Meow but When She Bared Her Soul She Got Scratched". People.com. Retrieved 7 February 2015. ^ "Interview". Mountain of Light. Archived from the original on 4 October 2011. Retrieved 8 December 2015. ^ a b Stroumboulopoulos, George (3 January 2007). "Interview with Yusuf Islam, aka Cat Stevens". The Hour. CBC. Retrieved 8 June 2009. ^ "Islamia Primary School :: History of Islamia". Islamia Primary School. Archived from the original on 18 July 2017. Retrieved 18 July 2017. ^ "Doesn't Yusuf Have Links With Terrorists?". Chinese Whiskers – FAQs. Mountain of Light. Archived from the original on 4 October 2011. Retrieved 11 February 2009. ^ "Yusuf Islam Wants to See Salman Rushdie Burnt, Right?". Chinese Whiskers-FAQs. Mountain of Light. Archived from the original on 4 October 2011. Retrieved 1 November 2014. ^ Staff (28 September 2001). "Former Cat Stevens To Donate Some Box Set Royalties To September 11 Fund". VH1. Retrieved 11 February 2009. ^ a b Edna Gundersen (15 December 2006). "'Cat Stevens' returns to music". USA Today. Retrieved 24 November 2010. ^ "Yusuf Islam wants name off 'no-fly' list". Associated Press. 2 October 2004. Archived from the original on 26 December 2007. Retrieved 6 December 2007. ^ "Why was he turned away from USA?". Chinese Whiskers – FAQs. YusufIslam.com. Archived from the original on 1 May 2011. Retrieved 26 November 2008. ^ "Yusuf Islam Lifeline:August 2008". Yusuf Islam official website. Archived from the original on 21 July 2011. Retrieved 23 September 2008. ^ Islam, Yusuf (1 October 2004). "A cat in a wild world". The Guardian. UK. Retrieved 6 May 2006. ^ a b c "Yusuf Islam wins damages for "veiled women" slur". Reuters. 18 July 2008. Retrieved 7 October 2008. ^ a b c Marot, Marc (2 April 2007). "Yusuf Islam's Manager Refutes 'Veil' Allegations". PR Inside. Archived from the original on 17 October 2008. Retrieved 7 October 2008. ^ "He won't talk to unveiled women, right?". Chinese Whiskers FAQs. YusufIslam.com. Archived from the original on 17 October 2013. Retrieved 11 April 2015. ^ a b Nolen, Stephanie (22 May 2000). "The Cat's Comeback". Globe and Mail. Canada. p. R1. Retrieved 1 September 2016. ^ "Surah 107:Small Kindness – al Ma'oun". Archived from the original on 30 May 2009. Retrieved 11 February 2009. ^ a b "Yusuf Islam sings for tsunami victims and told to make more music and spread Peace" (Press release). Mountain of Light. 24 January 2005. Archived from the original on 9 July 2006. Retrieved 6 May 2006. ^ a b Mingels, Guido (21 May 2008). ""To Be, You Must Give up What You Are" – Interview with Yusuf Islam (2006)". ARABIA.pl (reprinted Qantara.de). Retrieved 15 October 2015. ^ a b c Williamson, Nigel (17 November 2006). "The Billboard Q and A: Yusuf Islam". Billboard Magazine. Interview with Yusuf Islam; Return to Music. Archived from the original on 6 March 2008. Retrieved 31 January 2009. ^ "Official website for Yoriyos". Yoriyos.com. Archived from the original on 15 April 2009. Retrieved 27 July 2009. ^ "Musician Yoriyos: So, Mr. Islam has a new album out…". Patheos. 15 November 2006. Retrieved 23 November 2016. ^ a b Newman, Melinda (17 March 2006). "A cat in a wild world". Billboard.com. Retrieved 9 June 2006. ^ "BBC Four Sessions: Yusuf Islam". BBC Four. BBC. Retrieved 23 January 2017. ^ "All-star line up for Peace One Day". Musicnews.virginmedia.com. Archived from the original on 14 October 2008. Retrieved 27 July 2009. ^ "Download Music : The Day The World Gets 'Round by Yusuf & Klaus Voormann". Altnet.com. 27 January 2009. Archived from the original on 24 July 2009. Retrieved 27 July 2009. ^ "New Single – Radio 2 Exclusive". YUSUF Islam " News Items. 23 March 2009. Archived from the original on 21 July 2011. Retrieved 8 November 2010. ^ Cashmere, Paul (22 April 2010). "Cat Stevens aka Yusuf To Tour Australia". Archived from the original on 27 April 2010. Retrieved 1 May 2010. ^ "Cat Stevens to tour NZ for first time – National – NZ Herald News". The New Zealand Herald. 25 April 2010. Retrieved 29 June 2010. ^ "'My People' Free Download Available Now!". 2 March 2011. Retrieved 5 March 2011. ^ "Yusuf in Concert Website". Yusufinconcert.com. Archived from the original on 5 April 2011. Retrieved 7 December 2011. ^ "Moonshadow – The Musical Closes Early". Theatre People. Archived from the original on 9 November 2013. Retrieved 23 April 2014. ^ "Princess Theatre/Marriner Group Homepage". marrinergroup.com.au. Archived from the original on 23 January 2012. Retrieved 10 January 2012. ^ "2014 Induction Ceremony The Rock and Roll Hall of Fame and Museum". The Rock and Roll Hall of Fame. 16 October 2013. Retrieved 16 October 2013. ^ Greene, Andy (16 October 2013). "Nirvana, Kiss, Hall and Oates Nominated for Rock and Roll Hall of Fame". Rolling Stone. Retrieved 31 January 2014. ^ Greene, Andy (16 December 2013). "Cat Stevens Yusuf Islam 'Tickled' by Rock and Roll Hall of Fame Honor". Rolling Stone. Retrieved 31 January 2014. ^ Greene, Andy (16 December 2013). "Rock and Roll Hall of Fame 2014 Inductees: Nirvana, Kiss, E Street Band". Rolling Stone. Retrieved 31 January 2014. ^ a b Greene, Andy (11 April 2014). "Nirvana Reunite, Kiss Remain Civil at Rock and Roll Hall of Fame Ceremony". Rolling Stone. Retrieved 11 April 2014. ^ Vozick-Levinson, Simon; et al. (11 April 2014). "20 Best Moments at the Rock and Roll Hall of Fame 2014 Induction Pictures – Best Anti-Rock-Star Move: Cat Stevens/Yusuf Islam's Speech". Rolling Stone. Retrieved 11 April 2014. ^ Vozick-Levinson, Simon; et al. (11 April 2014). "20 Best Moments at the Rock and Roll Hall of Fame 2014 Induction Pictures – Best Peace-Out: Cat Stevens/Yusuf Islam's Performance". Rolling Stone. Retrieved 11 April 2014. ^ "About Ultimate Airport Dubai S2 Show – National Geographic Channel – Asia". National Geographic Channel – Videos, TV Shows & Photos – Asia. ^ "Cat Stevens to tour US for the first time since 1976". BBC Online. 16 September 2014. Retrieved 17 September 2014. ^ Rutherford, Kevin (15 September 2014). "Yusuf/Cat Stevens Announces New Album 'Tell 'Em I'm Gone,' Debuts 'Living to Die'". Archived from the original on 17 September 2014. Retrieved 17 September 2014. ^ "Whether Cat Stevens or Yusuf, he charms the Tower Theater". 7 December 2014. ^ a b "Yusuf Islam shares new song "He Was Alone" and video — watch [A poignant piece about the children entangled in the refugee crisis] (by Michelle Geslani)". consequenceofsound.net. 6 June 2016. Retrieved 30 July 2016. ^ "Yusuf Islam Setlist on 14 June 2016 at Westminster Central Hall, London, England". setlist.fm. 30 July 2016. Retrieved 30 July 2016. ^ a b "Post "Excited to be a part of this wonderful event. See you at this years #GCFestival in Central Park on 9/24!"". Facebook. 26 July 2016. Retrieved 30 July 2016. ^ "50th Anniversary Tour Announcement". ^ "Cat Stevens performs at the Kennedy Center Sept. 22 (by Peggy McGlone)". The Washington Post. 9 August 2016. Retrieved 15 August 2016. ^ "Yusuf/Cat Stevens Announces Fall Tour". ^ "Yusuf / Cat Stevens Announces New Album: The Laughing Apple (by Alex Gallacher)". folkradio.co.uk. 21 July 2017. Retrieved 16 September 2017. ^ Shteamer, Hank. "Hear Yusuf / Cat Stevens' Joyous New Song 'See What Love Did to Me'". Rolling Stone. Retrieved 29 October 2017. ^ Fishman, Howard (15 September 2017). "The Unlikely Return of Cat Stevens". The New Yorker. Retrieved 29 October 2017. ^ van Beynen, Martin (29 March 2019). "New Zealand's reaction to shooting exceptional - Cat Stevens". Stuff.co.nz. Retrieved 29 March 2019. ^ "Overview". Islamic Economy Award - Thomson Reuters. Retrieved 28 October 2017. ^ "Mohammad Bin Rashid honours winners of the Islamic Economy Award". Gulfnews.com. 14 January 2015. Retrieved 28 October 2017. ^ "Der Steiger-Award kehrt nach Dortmund zurück". Derwesten.de. Retrieved 28 October 2017. ^ "Steiger Awards: Cat Stevens, Hardy Krüger und Friede Springer kommen nach Dortmund - Westfalen heute - Mitteilung 14.09.15". Westfalen-heute.de. Retrieved 28 October 2017. ^ "World should do more". New Sunday Times. 6 November 2005. p. 26. ^ "Honorary degree for Cat Stevens". Exeter.ac.uk. Retrieved 29 September 2014. ^ Thomas, Huw (22 April 2015). "Stevens, Wainwright get folk honours". Bbc.com. Retrieved 28 October 2017. ^ "Fondazione Mediterraneo - Mediterranean Prize". Euromedi.org. Retrieved 28 October 2017. Wikimedia Commons has media related to Cat Stevens.